Whew! I cannot believe that today is the final day of 2015. I mean, days can really just become a blur and you look up and its another year–just like that. I figured it might be pretty cool to take a look back over the last year of the blog, and pull out some of the projects that I am most proud of. When pulling this info, I was shocked at how much we actually got done. I am so thankful that you guy’s have been sticking around with me this past year and I look forward to bringing you even more AMAZING content in the New Year. So enough chatter, let’s get to it! 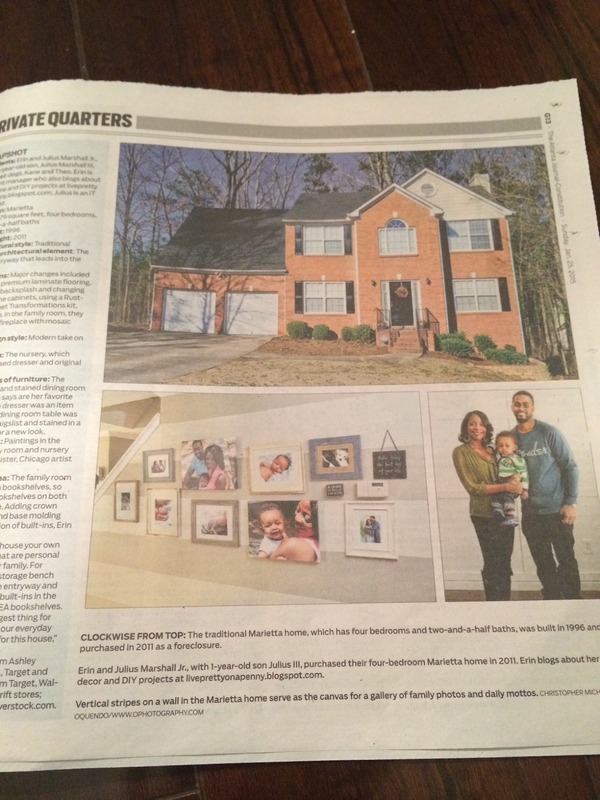 If you haven’t seen the entire article, the full tour is here. In April I participated in my first ever Style Challenge with The Home Depot. 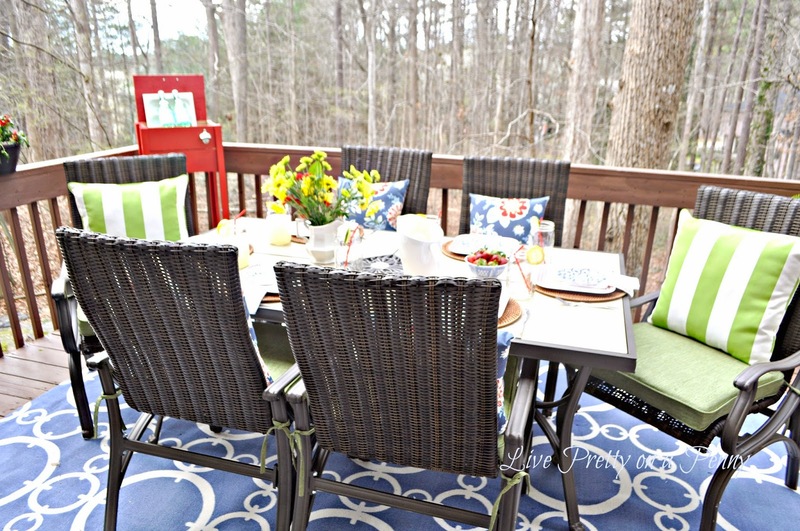 That was truly something I dreamed of doing since starting this blog, so I was honored to participate, plus it was a lot of fun, and we got to enjoy lot’s of pretty days in this much improved space. You can see more pictures and find the link to The Home Depot’s Apron blog, where this project was featured here. In the beginning of the year, I got to work on creating a living room space which had been a dumping ground since we moved in four years ago. 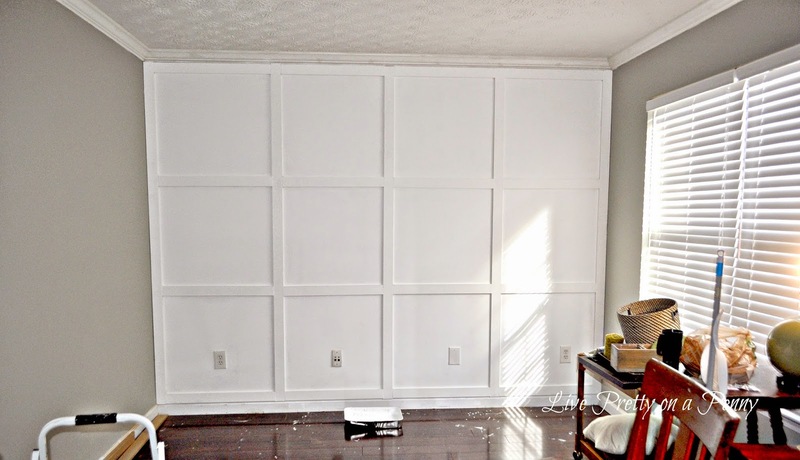 After painting, we added this board and batten focal wall, which gives a big impact and we get so many compliments on it. It only cost around $75. 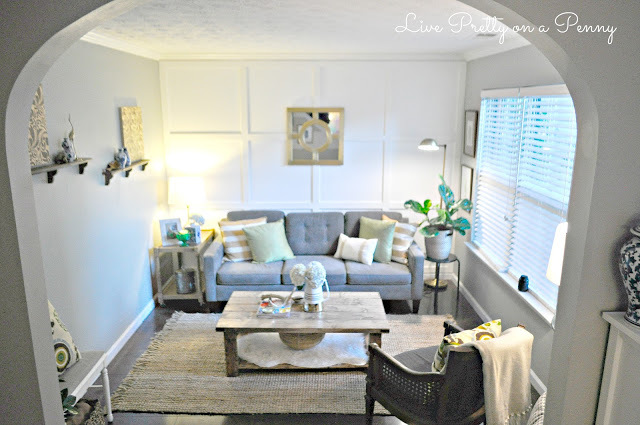 In July, I completed my living room makeover. To say I love this room is an understatement. I think what I love most is that it was so inexpensive to put together through my finds on Craigslist, Flea Markets, and thrift stores. I even built the coffee table for this room, which was my first time EVER building something. It was definitely a labor of love, but so worth it. 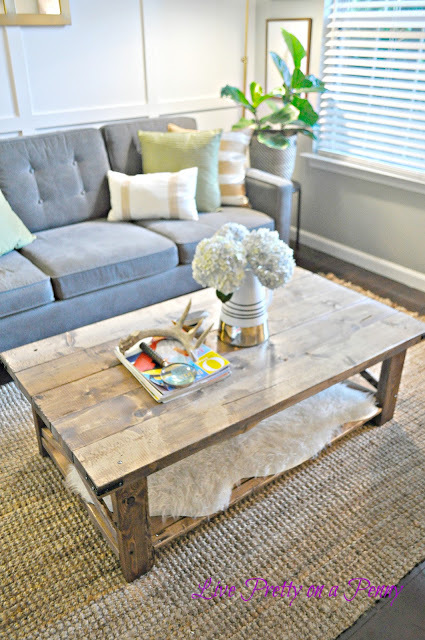 You can check out both the living room reveal and coffee table posts here and here. 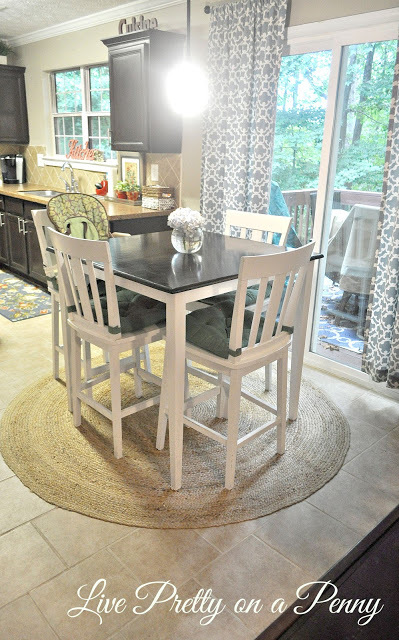 Also in July, I revealed my kitchen table makeover, although I believe I actually finished it back in January. You can see what table we had in this space before here, and also what this table looked like before I gave it a much needed update. 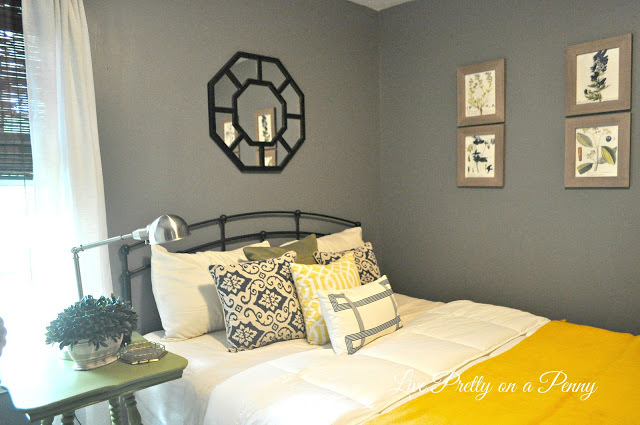 In September I entered a contest and was prompted to give my guest room a makeover. Well, it is one of my most favorite projects to date, and I am happy that guests have a peaceful place to sleep when they visit. Check out all of the photos and the full post here. In October I finally made my entry into the YouTube world. I am still not sure how I feel about it yet, but I plan to do more videos in the future. Here is my first one about how I incorporated thrifted items in my home. 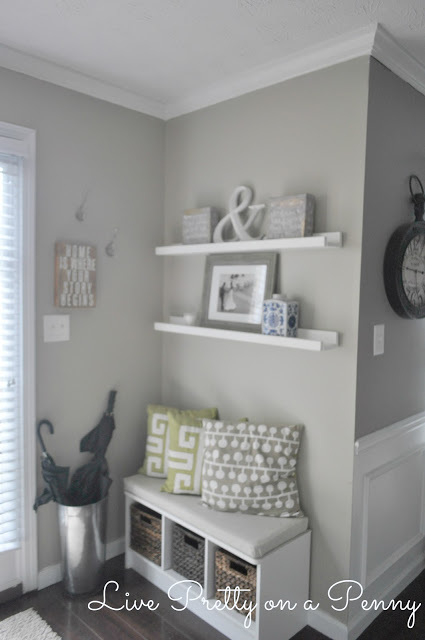 DIY Floating Shelves- The original post was from 2012, but I updated it and showed pictures as they are styled now. They are holding up very well! Check out my full tutorial on how you can create your own! 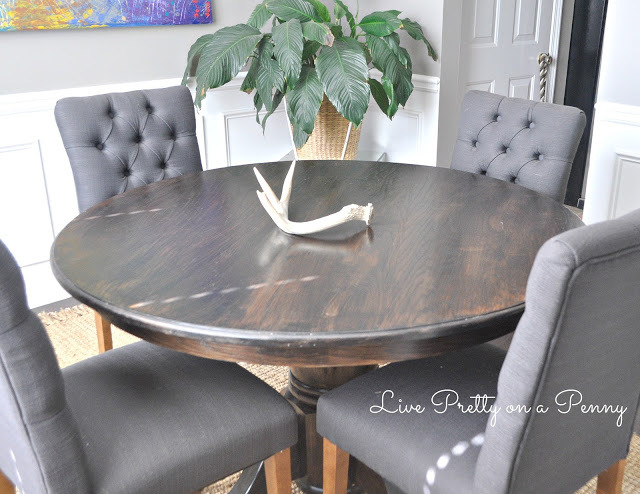 Refinishing an Oak Table- This is one of my most popular posts to date! Back in 2012 I made over an oak table from Craigslist for my dining room. This year I threw it back to this post and showed my table as it stands today. The full tutorial on how you can do this on your own can be found here. That pretty much sums up all of the big stuff! It’s fun to go through and check out your progress, even when you don’t think you have much going on. 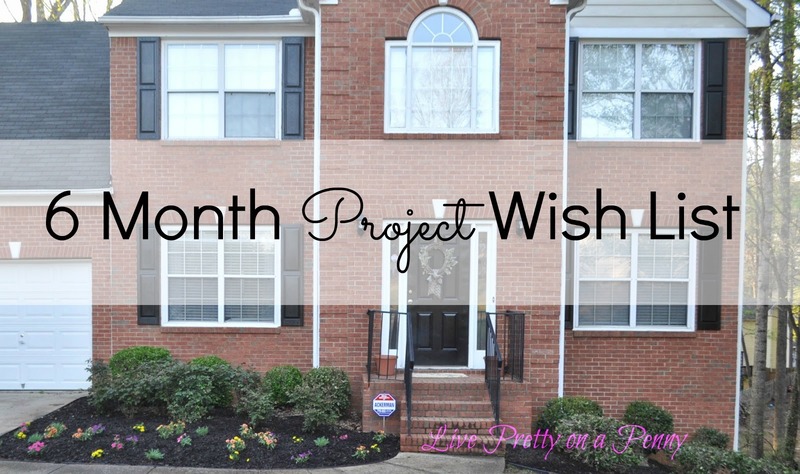 If you checked out my 2016 6-Month Wish List, then you will see I have big dreams for the top half of the year. We shall see how that all pans out. Have you accomplished any home projects this year that were on your to-do list? Please share in the comments below. I always love to see what people are up to! I want to wish each and every one of you the happiest and safest New Year!! Thank you for supporting my blog and allowing me share my home journey along with you. I look forward to sharing more and hearing from you all more in the New Year! Nice to meet you, Erin! Love your style! Stumbled on your beautiful blog while visiting Dee's site. We'll be moving in a few months. Your wonderful ideas gives me hope… Thanks for sharing them.Wishing you a healthy, creative new year! Its been fun to watch, Happy New Year! Happy New Year Erin! Can't wait to see what you have in store for us in 2016! Hello I can't wait to see what you have in store for this year. Luv your IG page and blog. Thanks so much! I definitely appreciate you stopping by and sharing your kind words! Happy New Year!